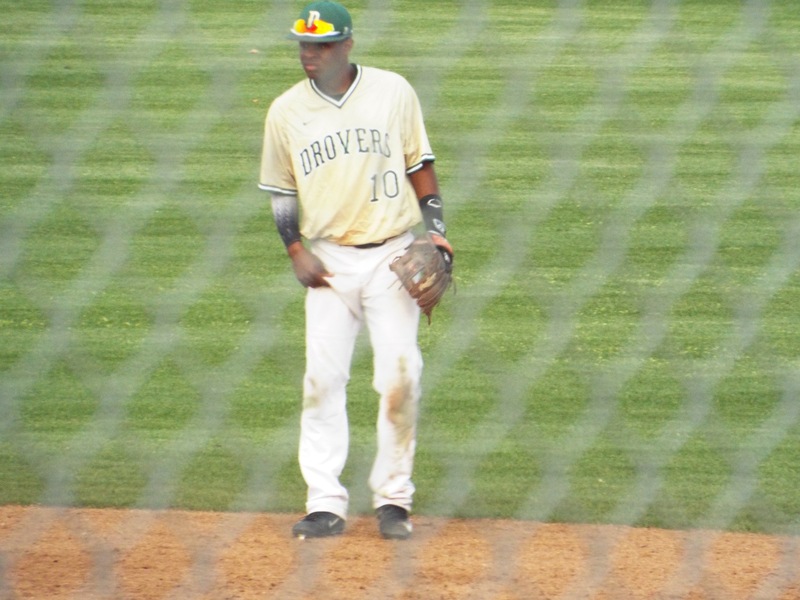 The USAO Drovers had great hitting and pitching to cruise to the 21-1 victory over Wayland Baptist yesterday. Francis Ventura picked up his 4th win of the season, going 6 innings giving up 1 run, 6 hits and 11 strikeouts. The bats exploded for the Drovers. They were led by Dillion White, who went 3-5 with 3 home runs and 7 rbi’s. Randy Ventura went 4-4 while completing the cycle. Kenniel Rivera went 2-2 with a single and a grand slam while Christian Perez went 2-3 with a single and a home run. Wayland’s starting pitcher Matt Flores would go 2 2/3 innings, giving up 10 runs on 8 hits. After this win USAO would improve to 20-9 on the season. Dillion White- White had a great game, hitting 3 home runs which broke the USAO record for most in one game. Randy Ventura- Ventura completed the cycle and also had 3 rbi’s. The Drovers get the 6-1 win behind great pitching from Trevor Settles and Ruddy Estrella. The Drovers starter Settles went 4 innings, giving up 1 run on 6 hits. The relief pitcher, Estrella, went 3 innings, giving up no runs on 2 hits including 6 strikeouts. The momentum from the bats carried over into the second game where the Drovers were led by Christian Perez, who went 2-3 with 2 singles and 3 rbi’s. Dillion White went 2-4 with a single and a double. Alexander Cortes went 1-2 with a single and Randy Ventura went 1-4 with a triple. Kenniel Rivera went 1-2 with a double. Wayland’s starting pitcher Broedy Burris went 5 1/3 while giving up 5 earned runs on 9 hits. USAO would improve to 21-9 on the season. Christian Perez- Perez played a good game going 2-4 with 2 singles and 3 rbi’s. Ruddy Estrella- Estrella would get his 3rd save of the season, pitching 3 innings and giving up 2 hits while getting 6 strikeouts. Kenniel Rivera playing 2nd base.